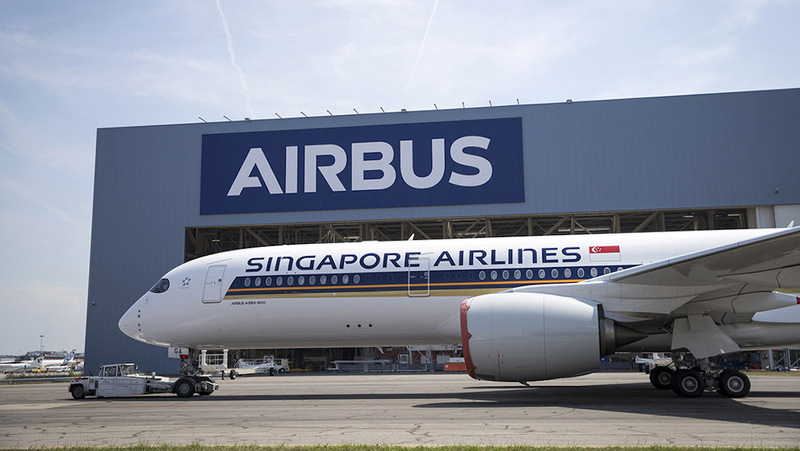 Singapore Airlines’ (SIA) is a step closer reclaiming the title of having the world’s longest nonstop passenger flight after the first of its seven Airbus A350-900ULR (Ultra Long Range) aircraft on order emerged from the manufacturer’s Toulouse paintshop. 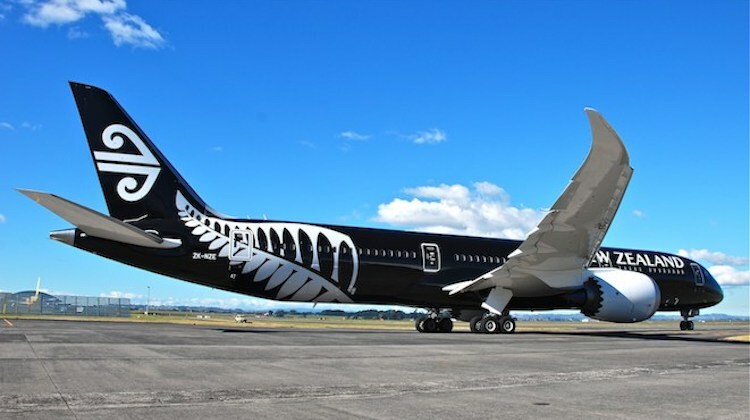 The aircraft, MSN220, has been painted in the airline’s livery and will undergo some further testing before being delivered to the airline “in the coming months”, Airbus said on Monday (European time). SIA has said previously the first A350-900ULR would be delivered by September. The A350-900ULR will allow SIA to resume nonstop Singapore-New York flights which are scheduled to begin on October 11 2018. 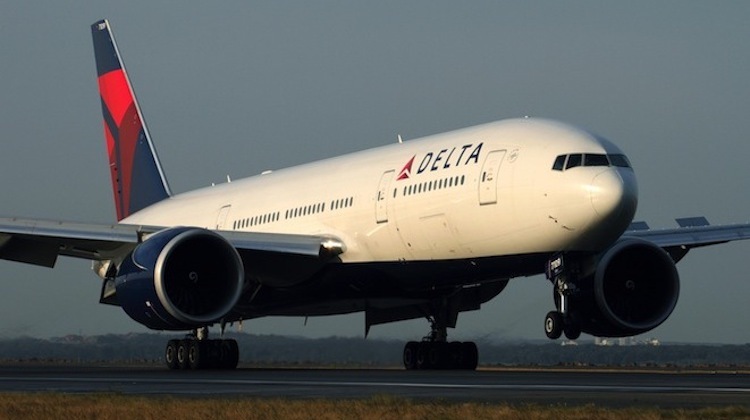 The 8,285nm route was suspended in 2013 when when high fuel prices made it uneconomical with Airbus A340-500s. Currently, the world’s longest nonstop flight by distance is Qatar Airways’ Doha-Auckland service, which measures 7,848nm and is served with Boeing 777-200LR equipment. SIA also plans to use the A350-900ULR to bring back Singapore-Los Angeles nonstop flights, as well as to operate some nonstop Singapore-San Francisco services. 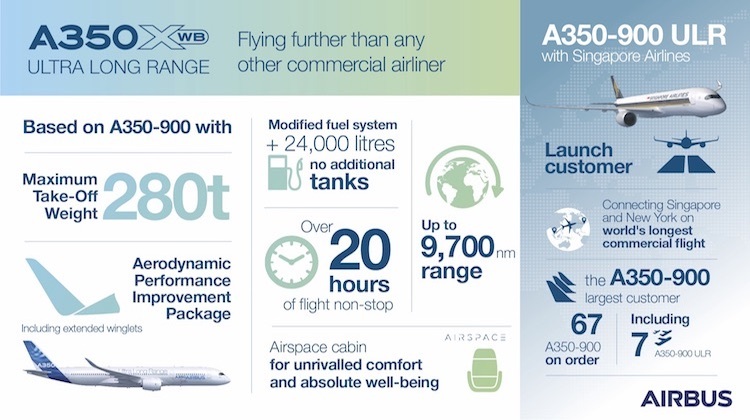 The A350-900ULR features a modified fuel system which increases the fuel carrying capacity by 24,000 litres (from 141,000 litres to 165,000 litres) over the standard A350-900 without the need for additional fuel tanks. The A350-900ULR also has maximum takeoff weight (MTOW) of 280 tonnes, compared with previously certified MTOW of between 268 tonnes and 275 tonnes for the standard A350-900 variant. 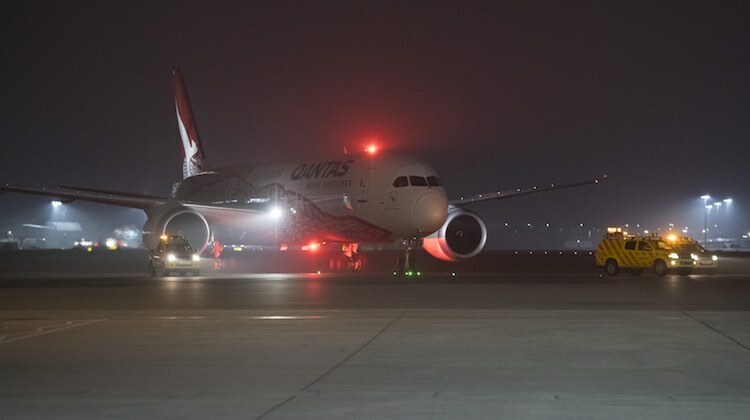 The aircraft’s flight test program, which kicked off in late April, has recently concluded. The aircraft used for the flight tests, MSN216, was going through its cabin fit out, Airbus said. SIA plans to configure its A350-900ULRs with 161 seats, comprising 67 in business class and 94 in premium economy class. There will be no economy seating for SIA’s ultra long haul missions. 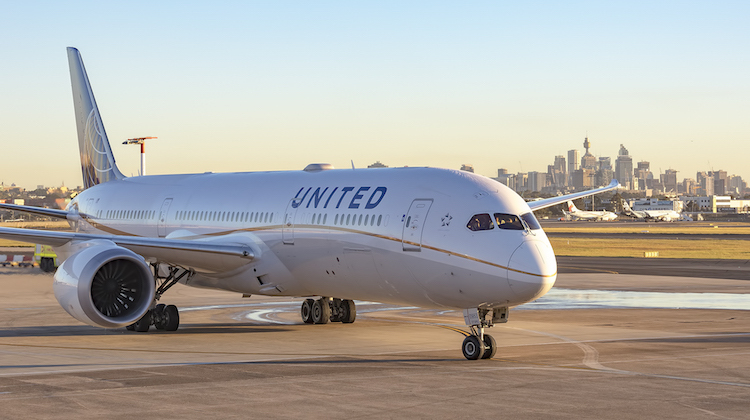 All seven A350-900ULRs were expected to be in the fleet by the end of calendar 2018. 1. Auckland-Doha (7,848nm) – operated by Qatar Airways with Boeing 777-200LR. 1. 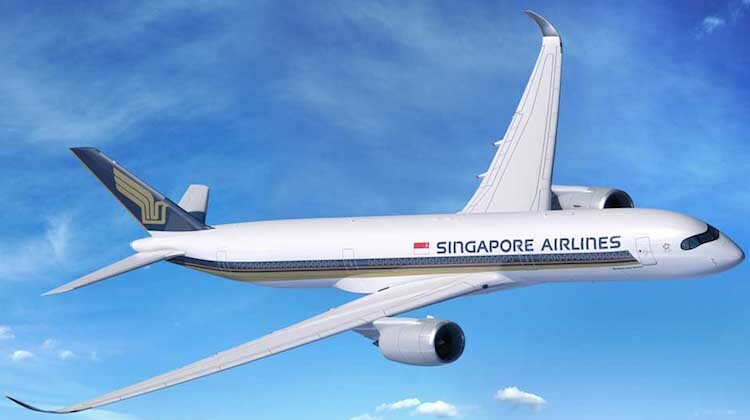 New York Newark-Singapore (8,285nm) – to be operated by Singapore Airlines with Airbus A350-900ULR. From October 11. From the specs provided by Airbus, I can’t see the A350-900ULR being a contender for the Project Sunrise competition. Furthermore, the payload restrictions caused by the forward hold not being available when configured for ULR makes it unlikely to be economically viable with a need for 300 pax plus baggage etc.